More about homeopathy in Switzerland: "Globuli only cause unnecessary healthcare costs"
Switzerland seems to be something like the ‘promised land’ for homeopaths – at least this is what many homeopaths seem think. However, homeopaths’ thinking is rarely correct, and the situation of homeopathy in Switzerland is not quite what they believe it to be. Einer der Gründe für den Anstieg: Seit 2017 sind Komplementärmedizinische Methoden wie beispielsweise Homöopathie auch in der Grundversorgung inbegriffen. Das Volk hatte im Jahr 2009 einen entsprechenden Verfassungsartikel angenommen. Damals hoffte man noch, dass mit dem erleichterten Zugang zur Komplementärmedizin die Gesundheitskosten sinken würden. Doch es kam anders. Die Komplementärmedizin verursachte letztes Jahr zusätzliche Kosten von 30 Millionen Franken, wie Sandra Kobelt, Sprecherin Krankenkassenverbandes Santésuisse, gegenüber BLICK bestätigt. Aus wissenschaftlicher Sicht macht diese Bevorzugung der Homöopathie wenig Sinn. Denn: In einem Statement aus dem Jahr 2017 bestritten insgesamt 25 europäische Wissenschaftsvereinigungen die Wirksamkeit von Globuli. Darunter auch die Akademien der Wissenschaft Schweiz, die mit den Schweizer Hochschulen zusammenarbeiten. 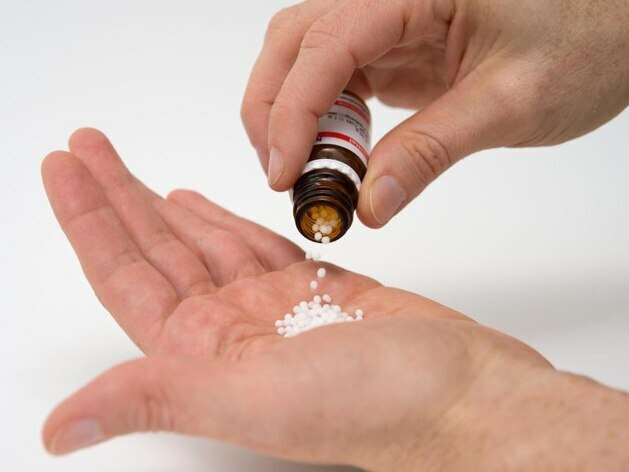 Sie halten fest, dass Homöopathie sogar gefährlich sein kann, da zu ihren Gunsten eine schulmedizinische Therapie aufgeschoben oder gar abgelehnt wird. Dieser Meinung ist auch Beda Stadler, der ehemalige Leiter des Instituts für Immunologie an der Uni Bern. «Globuli verursachen nur unnötige Gesundheitskosten», sagt er. Man habe das Volk 2009 getäuscht, indem man ihm erzählte, Globuli wären ja günstig. «Doch viele Allergiker setzen die Globuli nicht ab, nachdem sie keine Wirkung festgestellt haben. Stattdessen schlucken sie noch zusätzlich medizinische Tabletten – das verursacht doppelte Kosten», so Stadler. The costs for healthcare have exploded in Switzerland; an increase of > 255% during the last 10 years. One reason for this development is that, since 2017, the Swiss get various alternative therapies reimbursed, including homeopathy. That move has cost 30 000 000 Francs last year. The efficacy of homeopathic remedies is controversial. Yet they are being paid for by Swiss health insurances, provided they are prescribed by a qualified doctor. This does not make sense from a scientific perspective. In 2017, 25 European scientific societies, including the Swiss academies, stated that homeopathy does not work and can even be dangerous, if it replaces effective treatments. I suppose, we will have to wait for some unconventional science then! Many thanks. but what are ‘Globuli’ in this context? Globuli = the name homeopaths give their tiny lactose pills. Globuli are the form mostly in use in Germany, Austria and Switzerland to dispense homeopathic preparations. And herein lies the fundamental problem with homoeopaths: they refuse to accept the notion that they can and do fool themselves (and, by proxy, their customers) continuously. They also refuse to accept that independent, unbiased data collection on thousands of cases is far better than personal observations in perhaps a few dozen cases — not to mention that the outcome of those observations is vitally important for maintaining their life, income and credibility. This latter point alone explains why only very few homoeopaths have the courage to accept the very well-motivated scientific consensus and dismiss the fairytale magic on which they based their life up until then. The observed ‘mechanism of action’ has been explained exhaustively by science. It is a mixture of regression to the mean, the placebo effect, personal attention, positive thinking (“be on the lookout for any change in your situation, because that is a sure sign it’s working!”), social reciprocity (it is actually quite difficult to tell a homoeopath that things haven’t improved after all the time and attention (s)he has given you — even if you’re the one paying this person for it), and several other factors contributing to the illusion of improvement. The clinical ‘mechanism of action’ as claimed by the homoeopaths themselves is impossible to explain by any means, period. Because there is no clinical action, and to try and explain something that isn’t there is just silly. I’d love to see the research (or logical argument) that produced this conclusion. A body of work that investigates whether science (aka the most reliable demonstrable application of our intellect yet known) can/could explain the mechanism by which something that doesn’t work works would be entertaining. An increase of cost due to “Komplementärmedizin” of about CHF 30m is (obviously?) negligible. To put this number in context, just check total increase of cost in the Swiss health sector between 2015 and 2016: It was an increase from CHF 77754m (2015) to CHF80709m (2016) or roughly CHF 3bn. Arguably no money should be wasted on superstition but this is only 1% and thus has no relevance for the issue of health care cost.